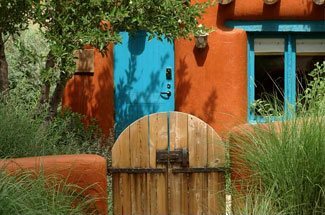 Besides the incredible art markets and recreational activities in the area, one of Santa Fe’s main summer tourist attractions is the Santa Fe Opera. Located just 7 miles north of the city, the Opera begins it’s 55th season on June 29th and runs through August 25th. This season features a rotation of 5 new productions: Tosca, The Pearl Fishers, Maometto II, King Roger,and Arabella. 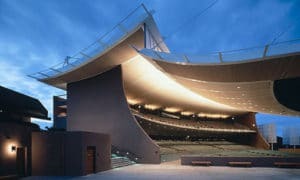 Founded in 1956 by New York-based conductor, John Crosby, the Santa Fe Opera has had more than 1,600 performances of nearly 140 different operas. A typical season features two popular works, an American (or world) premiere, a rarely performed work, and a Strauss opera. Much of the cast, musicians, and production team are from around the world. In addition to the 5 major opera productions, there is also The Apprentice Program, which features young singers and technicians who are transitioning into professional careers. Typically, they perform in Apprentice Scenes for two nights in August. In addition to the dramatics happening on-stage, the Santa Fe Opera is a great place to see and be seen. Several patrons will arrive hours early to tailgate in the parking lot. Some guests bring fancy 5-course meals, complete with candelabras, tablecloths, and fine wine. The Opera also provides tailgating picnics and preview buffets. 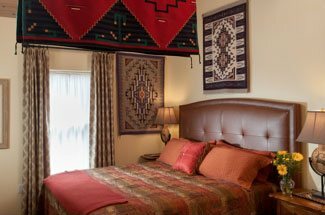 Because July and August are considered Santa Fe’s ‘monsoon season’, patrons are often treated to incredible sunsets, rainbows, and distant lightning storms. The Opera House does have a roof, but is open on the sides to provide easy viewing of nature’s dramatics. Whether you’re a newcomer or seasoned opera lover, there is always a bit of drama to be had at the Santa Fe Opera.